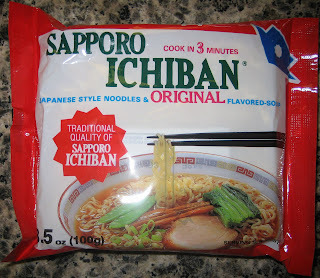 Sapporo Ichiban seems to be one of the most popular brands of instant noodles in the US. I see them everywhere, even in the local convenience stores and grocery stores. I got these from the Korean supermarket, even though they are not Korean. Sapporo Ichiban is a Japanese company, but they are so popular in the US that they have their own manufacturing facilities here. As you can see, this package has no Japanese writing on it since it is the American edition designed to compete with the likes of Nissin, Top Ramen, and Maruchan. I think Sapporo Ichiban is the best of the bottom-tier of ramen. By bottom-tier, I mean the ones that you can find in the American grocery store. Sapporo Ichiban's noodles are thick, chewy and nutty with good flavor. In the case of Original Flavor, the broth has a good savory identity. It tastes mostly of soy sauce with hints of onion and beef. There is just one foil seasoning powder packet that makes these noodles quick and easy with a minimum of unnecessary oil. You can't go wrong with Sapporo Ichiban because their noodles are tasty and filling. The broths are plain yet have enough variation to keep them from being boring. If you're not feeling too adventurous, then I recommend Sapporo Ichiban to give you a decent fix of ramen. I've been eating Ichiban Original for years with an egg stirred in it and it was always delicious. But recently, the noodles and soup have an off taste to it that is most unappealing. I've tried several packages of it and it all seems the same now. This is just the best instant ramen I've tried (Original flavor in particular). 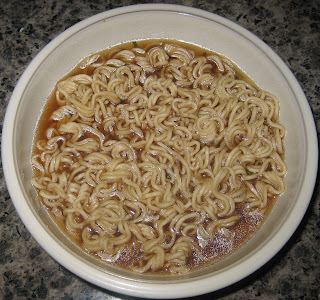 I've eaten a couple other brands, and they just don't compare in terms of the quality and springiness of the noodles, and the unique flavor of the "Original" broth. If anyone could recommend any alternatives that could rival this, I'd like to hear it. If you like these, I recommend that you also try Nissin Demae. Nissin Demae is pretty similar to Sapporo Ichiban but offer a few unique flavors. Yes! i would do the same too, adding an egg as the noodles were boiling. But it seems that i get an odd taste as well. I thought maybe it was just stale but no. I have resorted to adding a lot of soy sauce in order to mask it away. Very odd, but i still prefer it to top ramen or others. I love Sapporo Ichiban, but I don't like that they started to put beef in the Original. I like to eat beef. I used to love the Original! and Sapporo Ichiban is the best tasting noodle soup I know of. But I am against eating beef. Why did they have to do this to me! Now I just eat the chicken flavor. It's delicious! I love Sapporo Ichiban, but I don't like that they started to put beef in the Original. I don't like to eat beef. I used to love the Original! and Sapporo Ichiban is the best tasting noodle soup I know of. But I am against eating beef. Why did they have to do this to me! I first tasted it after buying it from an Oriental grocer in San Mateo, California, in 1974. We ate it with a float of thinly sliced fish cake and green onions. My ancestry is Hawaiian and Chinese so these flavors were the norm. 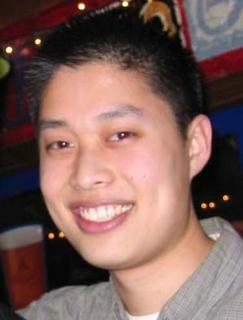 I believe that, to please American palats, many Asian recipes were modified sadly. You might consider emailing the company with your concerns. Who knows they might go back to the original ingredients. Case in point...Coca Cola.